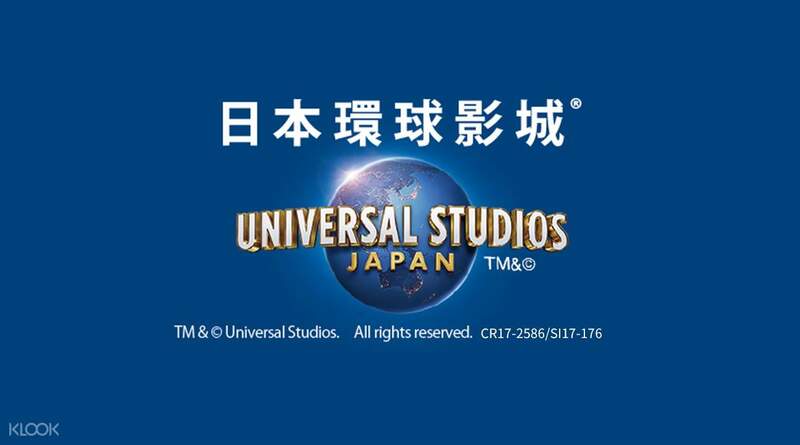 Book a Universal Studios Japan™ 1-Day Ticket and get up to 33% off on an Osaka Aquarium Kaiyukan Ticket in one purchase! No need to line up to get into the aquarium; very convenient to have the Klook app. Avail of a Universal Studios Japan™ 1-Day Ticket and get up to 33% off on Osaka Aquarium Kaiyukan Ticket when you book through Klook! Get to immerse yourself in the various themed zones of USJ as well as feel like you’re part of the unique worlds of many of the world’s most iconic blockbuster flicks. You can also explore the Wizarding World of Harry Potter, feel like a newly-minted Hogwarts student, and romp around the humble village of Hogsmeade and drop by its numerous shops. 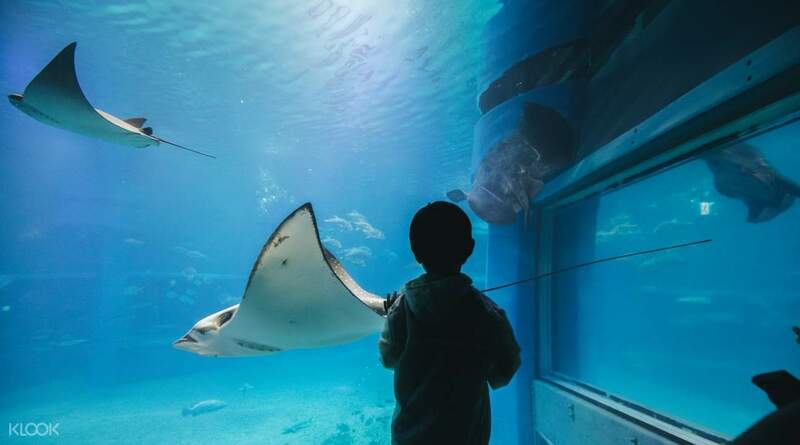 Dive into the aquatic paradise of the Osaka Aquarium Kaiyukan and marvel at the hundreds of marine lifeforms calling it home. Watch adorable seals wandering around the world’s largest dome-shaped ceiling tank and get to watch the aquarium staff feed their animal friends. This combo ticket package is a must for anyone going to Osaka. Great aquarium with lots it look at. There is only one route through the aquarium which makes it easy to see everything that they have on offer. I suggest planning your route walking times to correlate with animal feeding times to see even more. The main tank actually has many viewing levels - a fact not many are aware of. The top viewing level is full of people, but a few flights down nobody is viewing. Be sure to head down to areas where you can view the beautiful animals without 100s of people pushing and shoving. Great aquarium with lots it look at. There is only one route through the aquarium which makes it easy to see everything that they have on offer. I suggest planning your route walking times to correlate with animal feeding times to see even more. The main tank actually has many viewing levels - a fact not many are aware of. The top viewing level is full of people, but a few flights down nobody is viewing. Be sure to head down to areas where you can view the beautiful animals without 100s of people pushing and shoving. Awesome place and awesome vibe, staff are fantastic. Same as any amusement park, the merchandise is very expensive. Lines are extremely long for majority of rides (100+ on a Saturday that I went). Be sure to read the tips article on what you need to do before going to universal studios - many helpful tips that will save money and time. Awesome place and awesome vibe, staff are fantastic. Same as any amusement park, the merchandise is very expensive. Lines are extremely long for majority of rides (100+ on a Saturday that I went). Be sure to read the tips article on what you need to do before going to universal studios - many helpful tips that will save money and time. Definitely a must place to go when your in Osaka. Kids and adults will enjoy. Express pass will save you at least 1hr of your time in queing. Definitely a must place to go when your in Osaka. Kids and adults will enjoy. Express pass will save you at least 1hr of your time in queing. Amazing aquarium. see animals like whale sharks, otters, seals, capybara up close. if you're heading to USJ, this is definitely a must buy as it's a short 10min ferry ride from usj. Amazing aquarium. see animals like whale sharks, otters, seals, capybara up close. if you're heading to USJ, this is definitely a must buy as it's a short 10min ferry ride from usj. e-ticket from klook are very convenient. you can just print out the voucher or by mobile to scan the QR code. e-ticket from klook are very convenient. you can just print out the voucher or by mobile to scan the QR code.